Google is offering enterprises a new way to build hybrid infrastructure, with a service that extends corporate networks into its cloud platform. Called Dedicated Interconnect, it allows companies to treat servers in Google's cloud as if they were part of their own private address space. Such a move can be useful for businesses operating in financial services, video editing, or other industries that need to be able to scale up processing capabilities, but want to keep their data on a private network, according to Google product manager John Veizades. By buying multiple 10 Gbit/s connections, customers can boost the throughput of the interconnect between the cloud and their on-premises networks, or improve its availability, or both. Previously, this required companies to put a dedicated VPN device on the company network, sending encrypted traffic over the public internet. Google still offers this IPsec VPN option, but recommends it for companies transferring low data volumes, with a maximum of 3 Gbit/s for each tunnel. Amazon Web Services offers a similar service called AWS Direct Connect, while Microsoft's VPN solution is called Azure ExpressRoute. With Dedicated Interconnect, each 10-gigabit connection costs US$1,700/month, with an additional charge of $72/month per VLAN attachment. There are also charges for traffic egress: $0.02 in Europe and North America, $0.042 in Asia and Australia, lower than Google's usual charges. Up to eight connections can be subscribed per network, and these can either be bonded to boost bandwidth, to a maximum of 80 Gbit/s, or used to increase redundancy, or both. 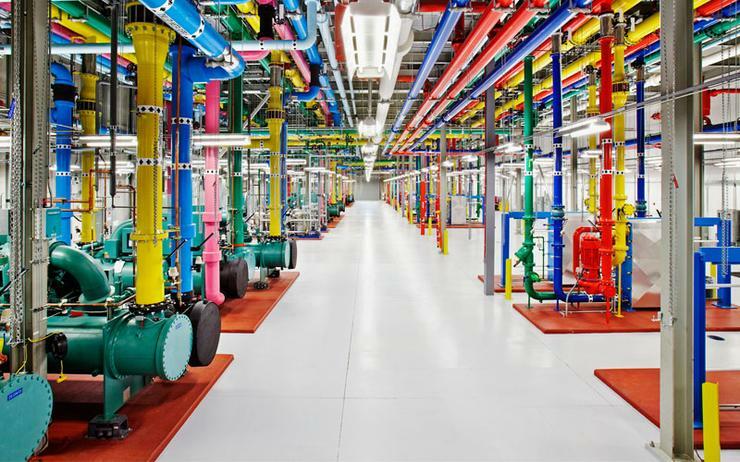 Google expects its recommended configuration for two redundant connections to deliver 99.9 percent uptime. The tech giant won't back that up with a service level agreement (SLA) just yet, but when the service exits beta testing in the next month or two, it plans to offer SLAs for two redundant connections (99.9 percent availability) and four redundant connections (99.99 percent, or just under one hour of down-time per year), according to Veizades. While Google hopes to simplify networking, it's made things a little complicated for anyone familiar with its previous networking portfolio - it already had a service called Google Cloud Interconnect, launched back in 2014, that it has just renamed Carrier Peering. Where Dedicated Interconnect and IPsec VPN are about extending the private address space into the cloud, Carrier Peering and its cousin Direct Peering allow customers to extend their public IP address range into Google's cloud. Direct Peering requires companies to have a presence in a colocation facility alongside Google; Carrier Peering hands the responsibility of making that connection to one of Google's carrier partners -- for a fee.